Node4-Giordana, a new British UCI Europe Tour team backed by Phil Griffiths, was officially unveiled this morning by Cycling Weekly. Forming from the remains of the Motorpoint outfit, Griffiths will continue to run both a men’s and women’s team, with junior world road race champion Lucy Garner fronting the latter. Malcolm Elliott and Bill Nickson will manage the new squad, while five of the line-up are survivors of this year’s set up. 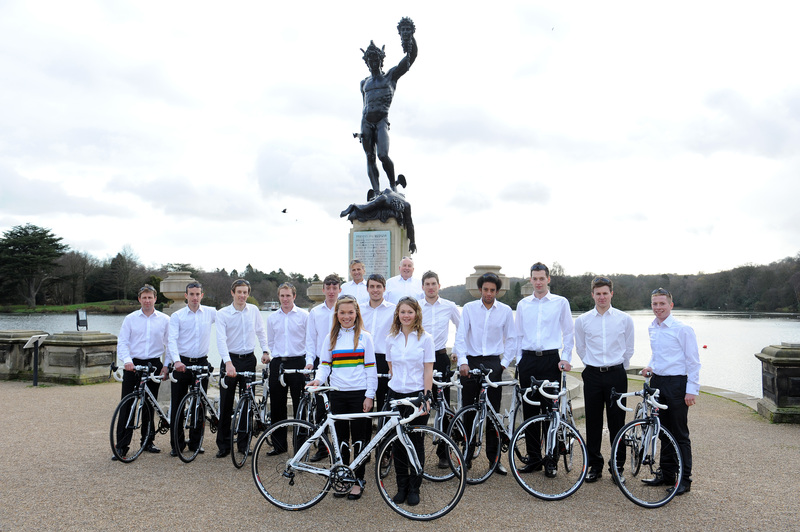 They assembled at Trentham Gardens in Stoke-on-Trent last Friday, although their official launch – along with a 10-day training camp in Tenerife – takes place next month. Motorpoint announced their withdrawal from the sport at the end of October yet despite this, and losing talented duo Ian Bibby and Jonny McEvoy to Endura, Griffiths always believed he would have a team racing in 2012. 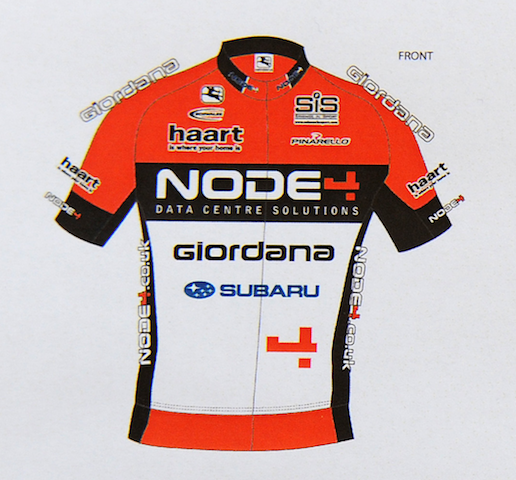 Node4, a data solutions firm who have been involved during Motorpoint’s two seasons backing a squad, step up to become title sponsor, with Italian clothing manufacturer Giordana becoming the secondary partner. 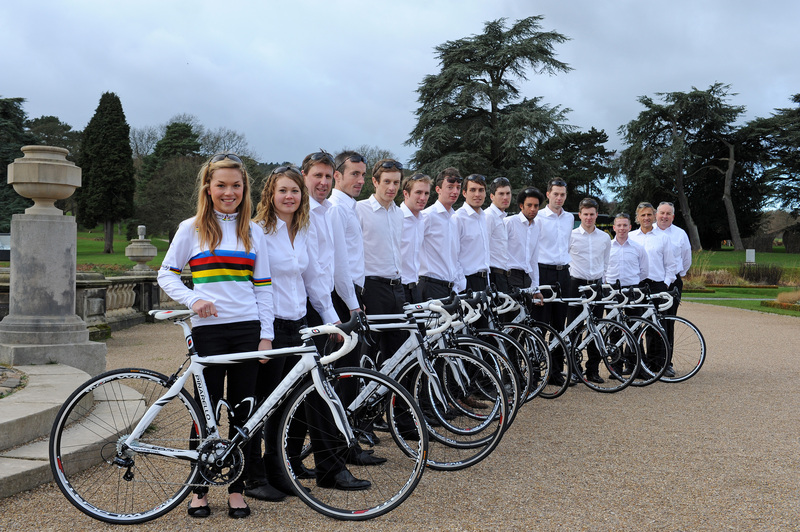 Subaru have signed a one-year deal to supply the team’s vehicles while Pinarello will continue to supply the bikes. “I can’t believe how many people wanted to come onboard with us,” Griffiths added. While Marcin Bialoblocki, Lee Davies, Andy Magnier, James Sampson and Pete Williams are retained, the six new riders joining for next year include Dave Clarke and James Moss, formerly of Endura Racing, 2010 Lincoln GP runner-up Philip Lavery and ex-Rapha-Condor and Raleigh man Matt Cronshaw. Griffiths also hailed the signing of New Zealander Rico Rogers, a former mountain biker who joins from Giant Kenda. Rogers is currently training for next month’s National Criterium Champonships, and wasn’t at the team’s unveiling last Friday.